Disneyland Hotel Enchanted Garden restaurant offers one of the most unique dining experience in the Disneyland Resort – not only do you get to feast on Mickey-shaped pancakes and a variety of food from different cuisines, you also get to take pictures with Disney characters as they drop by your table – no need to queue for photos with them, they will come by and greet you and offer you a photo opportunity! Mickey Mouse, Goofy and Daisy were making their rounds in the Enchanted Garden Restaurant during breakfast and we just had grabbed pictures with these beloved icons of Disneyland. The characters were really friendly – Goofy even offered his “autograph” on a napkin when he noticed that we were Star Guests (from our Star Guest lanyards). One of the more playful Disney characters was Pluto. He even tried to spook me by coming up secretly behind me. 🙂 Despite how cute and lovable these characters are, some younger children were scared of them and would cry at the sight of them and the characters managed the situation well by trying to play hide and seek and peekaboo with them but to no avail. 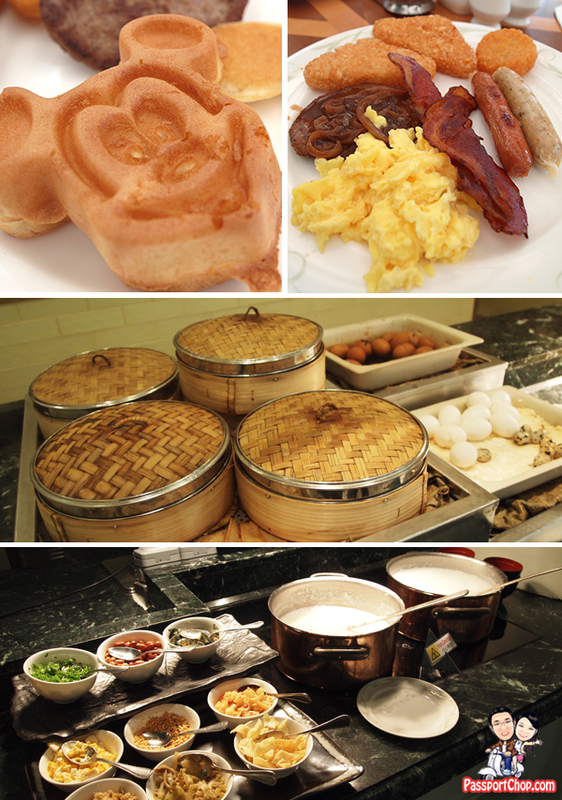 Breakfast comprised of a variety of international cuisine – whether you are looking for Cantonese food e.g. dim sum, Japanese sushi or even Indian curry, you will find it here and there is of course the standard full English breakfast e.g. scrambled eggs, bacon and simple Continental breakfast e.g. bread and butter spread. 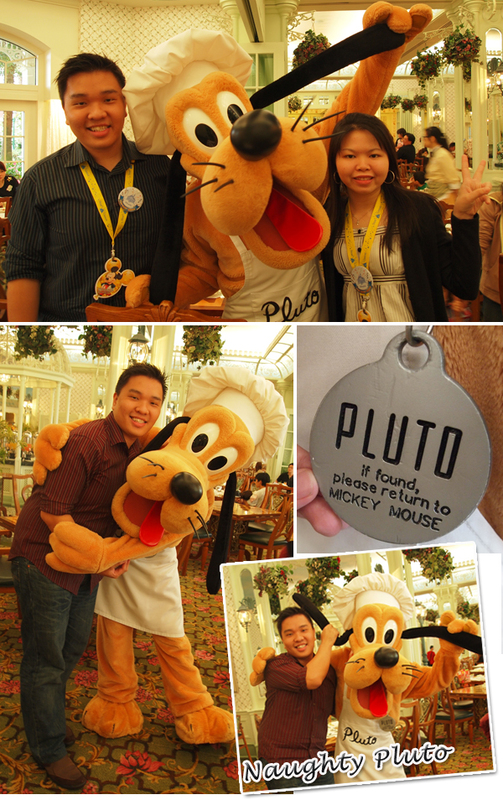 Wow, nice photo with Pluto! *envious* haha! .-= DC´s last blog ..Seventy-Five =-. .-= Best Travel´s last blog ..Isla Mujeres, Mexico The Island of Women =-. Nice opinion dear, your pictures are also superb…. Hi! Your photos are great! 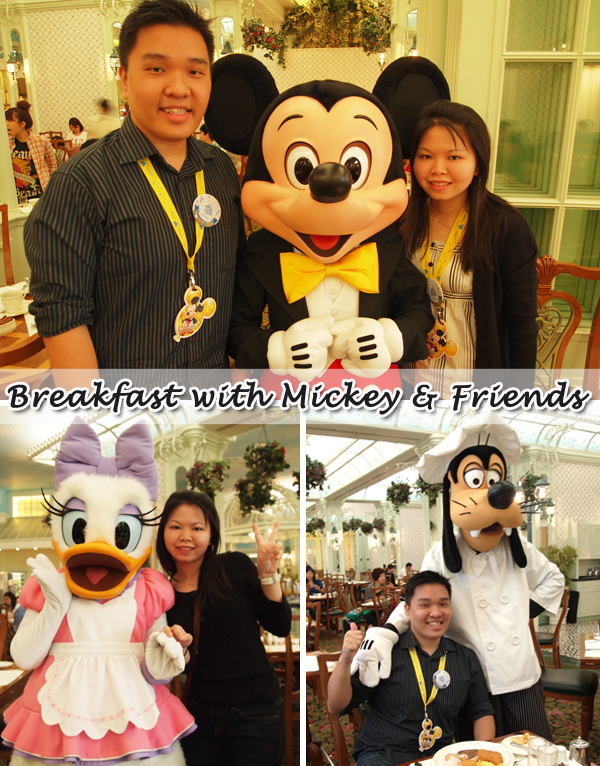 We are planning on a trip to HK Disneyland soon and I was wondering, do you know what time the breakfast buffet at the Disneyland Hotel is? We would like to book our flights in time for the breakfast there. 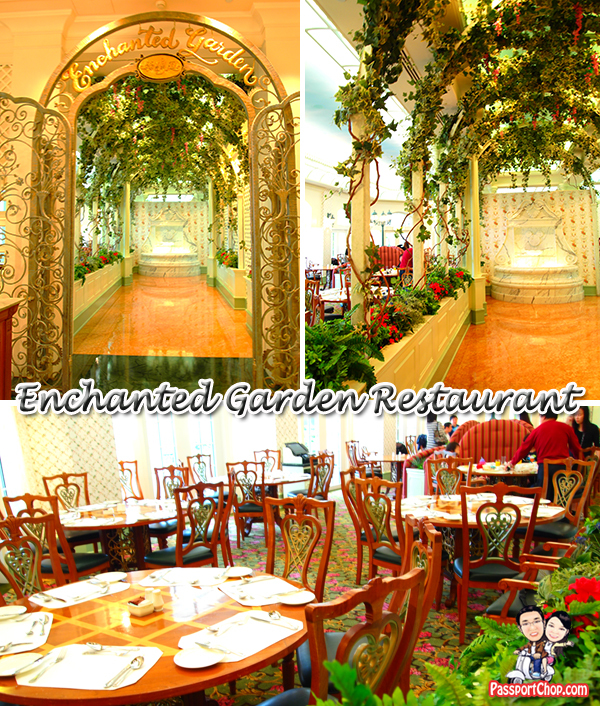 Your photos of the yummy food has even more convinced us to have a meal at the Enchanted Garden restaurant 🙂 I tried looking for the buffet schedule at the website but it seems that details can’t be found there. I hope you can help. Thanks! Do you have to reserve a table beforehand to enjoy this breakfast? Can you do it online? There is no need to reserve a table to enjoy the breakfast. You do however have to ensure that its included in your Disneyland Hotel stay package. If you are not staying at Disneyland hotel, you might want to call them to check if you could enjoy breakfast here for a fee. issue here on your wweb site.